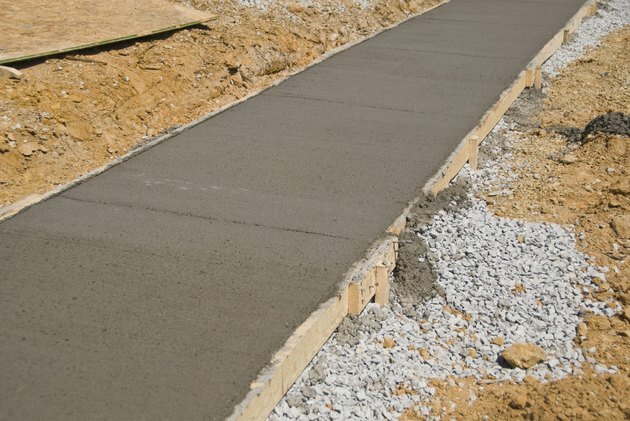 Concrete is a porous material, which makes it difficult to glue some materials to the surface. Smooth materials, such as marble, glass and metal have difficulty sticking to concrete because of the mismatch in textures. However, if you use the correct formula of glue, nearly anything will stick to concrete. You will have best results with rougher materials, such as additional concrete, wood, cloth or plastic, but nearly anything will stick to concrete with the right glue. 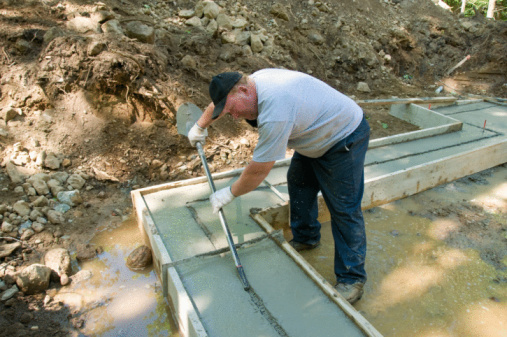 You can glue nearly any material to a concrete surface. Clean the concrete with a degreasing cleaner and a scrub brush. Scrub the area until all dirt, debris, oil or previous finishes are removed from the concrete. If a polyurethane coating or other sealant is on the concrete, remove it by cleaning it with a cloth dipped in acetone. Rinse the area with water and allow it to dry for 24 hours. Mix the two parts of the epoxy glue using a one-to-one ratio. If you want the glue to take longer to set, then use less catalyst in the glue. Roughen the surface of the second material with sandpaper to help it bond to the glue and concrete better. Spread a thin layer of glue onto the concrete and the item that you want to glue to the concrete. Press the two objects together. Use a heavy weight or clamp to hold the two objects together. Allow the glue to dry for 24 hours before removing the weight or clamp. Allow the glue to dry for a total of 48 hours before washing the area.